Due diligence: definition, typologies and all you need to know. The concept of due diligence derives from the Anglo-American experience, it has to be intended as an investigation procedure aimed at investigating and assessing a company’s (the so-called “target”) contents, in order to allow evaluations of mainly economic nature (report). It is a process that is used to analyse value and conditions of a company which will be soon subject to acquisition, extraordinary operations or investments. The due diligence process aims at evaluating through a thorough information collection the convenience regarding the feasibility of a business, it allows identification of potential risks and problems related to its implementation. At the same time, the due diligence procedure allows to draw up solid ground to start negotiations, in view of the completion of significant economic operations (corporate acquisition operations, mergers, divisions). If from the due diligence process, which is aimed to acquire a company, it does not at least immediately emerge any liability, which in contrast is disclosed afterwards, the buyer may ask the seller for more warranties and so that broaden the liability. In this context, the objectives and modalities of “due diligence” procedures have to be considered changeable, according to the context in which one is acting. Certainly, the most interesting aspects are those related to the business, fiscal and commercial activity. The “due diligence” process is prone to variations according to the object of investigation, that may concerns the whole business or just some aspects of it. 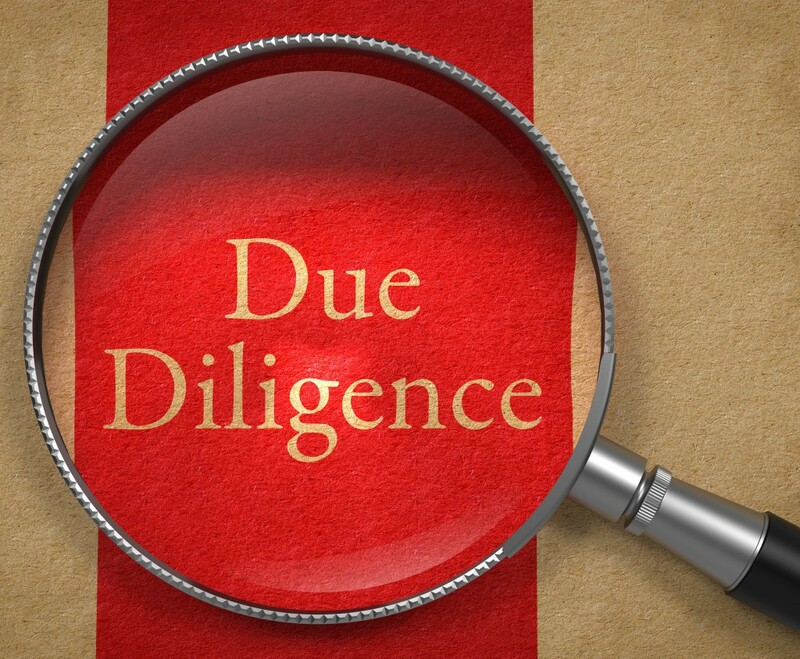 - “Vendor due diligence”, if the target company orders a due diligence on its own accounts. - “Strategic due diligence”, it is aimed at identifying strengths and weaknesses in relation to strategic plans linked to the extraordinary operation, and the internal and external risks that pose a threat to pursue the objective. - “Post-acquisition”, when it is implemented after the acquisition, it is often limited to accounting aspects of the target company in order to detect any discrepancy and proceed with amendments to the price paid. - “Limited”, investigation limited to certain areas. - “Data Room”, the analysis is carried out in a separate venue, generally a lawyer's office or a consulting company's office. Investigations on the target company's assets (movable and immovable assets) and target company-signed agreements (and their nature) may be useful as well. Do you wish to receive more information about a due diligence? Contact us.